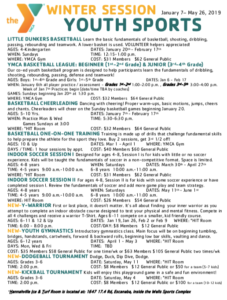 The programs below are for the Winter Season. 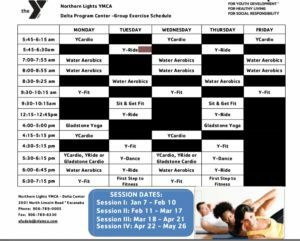 The Northern Lights YMCA along with Hannahville Indian Community is proud to offer Worksite Wellness Programs to area businesses and organizations. We will provide a Needs Assessment, Weigh Out the Choices and Set Goals. There is a 90 day Implementation Period and then an Evaluation, all of which are absolutely FREE! For more information or to get your business started, call Nicole Fitch, Community Wellness Director, at 906-723-2038 or email nfitch@nlymca.com.